When we first started with Coloured Ryeland sheep in 2007, they were a rare breed. Now they are classified as a Native Breed and no longer endangered. The Ryeland and Coloured Ryeland is an old breed originally from the borders of England and Wales, around Hereford. Bred by the monasteries, they grazed the rye pastures – hence the name. Originally kept for their high quality fleece, they are now a dual purpose breed, producing excellent meat off grass plus a good quality fleece, weighing between 2.5 and 3kg. We keep around fifteen breeding ewes, a tup (male sheep for breeding) and a wether (a castrated male sheep which keeps the tup company when he can’t run with the ewes) plus followers – generally young ewes not yet old enough to breed. We lamb in April; the ewes usually have two lambs (sometimes one and sometimes three!!!!). The lambs stay with the ewes for about 16 weeks old then they are weaned. Ewe lambs are either retained as flock replacements or sold for breeding; tup lambs are slaughtered to produce prime lamb in October. Our sheep are killed at Downfield near Cupar in Fife, and butchered by Minick of Ladybank. 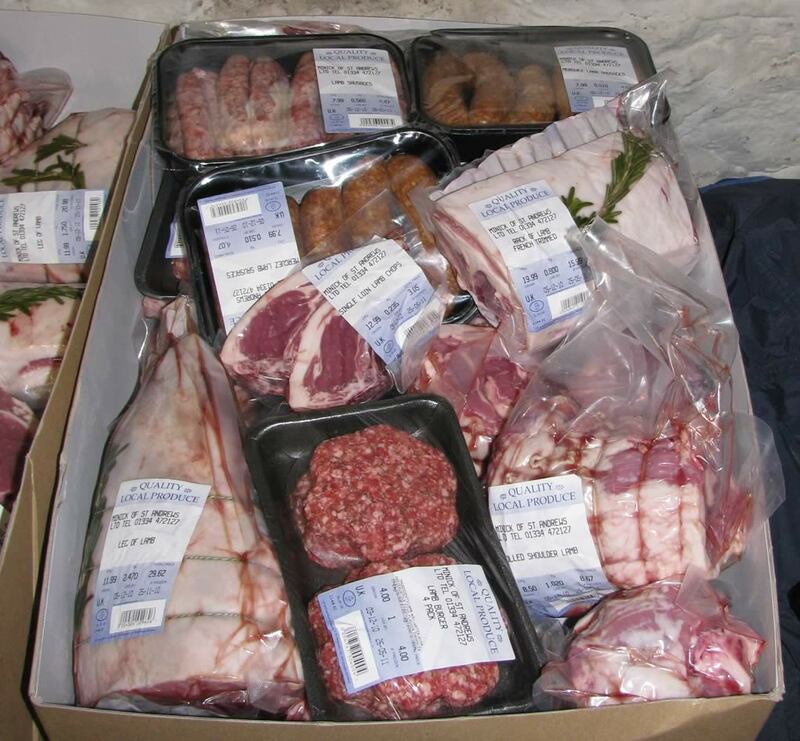 We sell lamb in the autumn as fresh boxes of a half lamb or a whole lamb; after that we sell frozen lamb. We sometimes have hogget and mutton available. Hogget is meat from a sheep that is between one and two years old; mutton is from a sheep that is older than two years. The meat is darker in colour and has a slightly stronger taste than lamb, but is tender and tasty too. 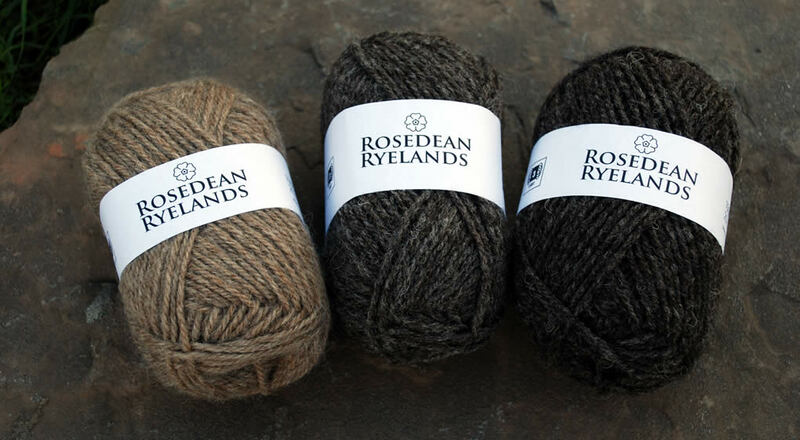 We also sell our own undyed, 100% wool yarn produced from our Coloured Ryelands’ fleeces. Please see the Rosedean Ryelands website for more details and our online shop.